The Old Barn and the Granary are two stunning newly converted cottages in the courtyard of our 15th century listed black and white farmhouse at Little Quebb. Herefordshire provides some excellent local produce, and we include below our own views on where to shop for food locally, and where to eat and drink. Excellent local greengrocer and fishmonger. Good supply of fresh fish direct from Aberyswyth every Tuesday and Thursday. Situated next to the Burton Hotel. Delicatessen and Whole food shop, Hay on Wye. Deli with a wide range of products including smoked meats for the Black Mountain smokery and bacon from Craig Farm organics. Regular farmers markets are held in Hereford, Leominster, Presteigne and Ludlow. 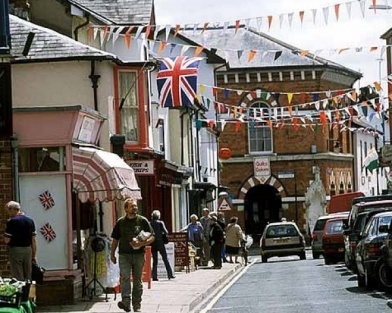 There is a busy market every Thursday morning in Hay on Wye, which includes a popular cheese stall, good fish and game van and a stall selling a variety of French bread and pastries which tends to sell out quickly. Kington has a small WI market every Friday from 10.00-11.00 in the Baptist church hall, where people sell their own fresh local produce. Good for local seasonal vegetables. Ludlow has an annual food festival every September, showcasing the best produce from Herefordshire, Shropshire and the Borders. It is the centre of the slow food movement in England, and has a good range of food outlets as well as one of the best farmers markets in the area, held fortnightly on a Thursday morning. Michelin star award winning pub five miles down the road serving local seasonal produce. Good food, well presented in pub restaurant. Popular for Sunday lunch. Essential to book in advance. Popular pub with lovely views over surrounding countryside, also provides B & B accommodation, about 8 miles away. Food is good, well cooked and reliable. More informal and fewer choices than the Stagg,and a bit cheaper. We eat out here. Many of our visitors have eaten here and recommended it. In winter ( and up to the end of March ) Thursday night is steak night – with a good plate of steak , chips and veg for £8.00. Achieves rare trick of providing bar for locals to drink in, as well as comfortable seating for those who wish to eat. Open evenings (except Monday) and Saturday and Sunday lunchtime. Closed lunchtime in the week. Useful to book . Highly recommended. Good log fire. This pub is only 6 miles from Hay but feels as though it is in the middle of nowhere and is surrounded by beautiful countryside. Slow road from Hay so it takes a while to get there. Good to combine a visit with a walk. Popular with walkers and cyclists. Now owned by the proprietors of the Swan Inn, Hay. Good walkers food - hearty beef pies, rump steak etc well cooked in cheerful, friendly surroundings but a bit pricey for what it is. Quite tatty as owners take pride that it is in its “original” state ! Good garden. Open most days for lunch and supper, but worth checking, and useful to book. This doesn't look very promising from the outside, but the food is mainly French and is excellent. It is very family orientated and also has a wood oven for its home made pizzas. Good to combine with a visit to Ludlow. Open Tuesday – Saturday for lunch and dinner, and Sunday for lunch only. Highly recommended. Hotel serving reasonable bar food in the Bistro restaurant in the centre of Hay. Not a great gastronomic feast but a nice ambience. Exceptional Michelin starred restaurant serving a nine course tasting menu. This is the place to go for a very special celebration. Expensive but worth it. the Cider Barn Pembridge. A traditional Cider Barn. Beautifully converted into a warm welcoming restaurant creating a great atmosphere. Locally sourced produce used when possible. On the several occasions we have visited the experience has been excellent. The menu caters for all tastes. We have always been made very welcome by Paul and Sophie and nothing has been to much trouble. 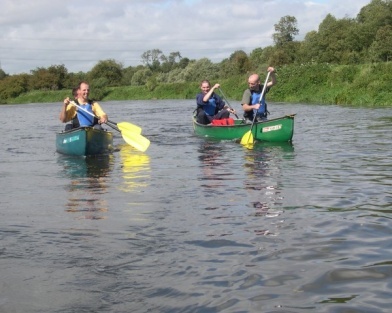 Canoes can be hired at Glasbury. You can chose shorter or longer routes, and take a picnic, and then arrange to be picked up from your destination later in the day. A brilliant day out - particularly when the sun is shining. 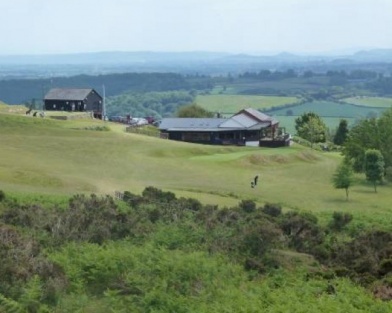 Kington has a very idiosyncratic and enjoyable golf course high on Bradnor hill, with views of seven counties, where golfers vie with sheep for green space. It is reputed to be the highest golf course in England. The club welcomes visitors, and many people come to Kington just for the golf. 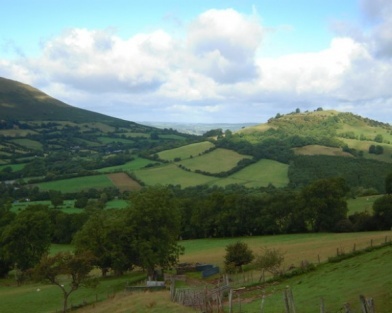 The area offers truly brilliant opportunities for walking in magnificent countryside. We are three miles from Offa's Dyke, a long distance footpath running for a total of 180 miles north - south along the ancient border of England and Wales. 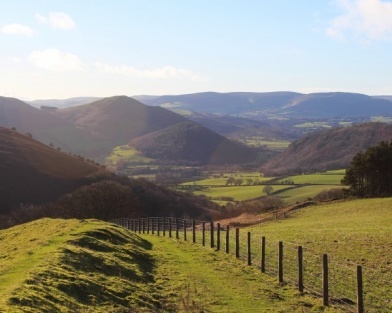 Our nearest access to the path is at Kington, three miles away, where the path winds across Hergest Ridge, with fantastic views into Wales and the Marches. After about three miles you reach Gladestry with a welcoming pub - a good stopping point with the option of a straight return to Kington or a circular route. There are other splendid routes from Kington, from one hour strolls around the town to the 30 mile Mortimer trail through the beautiful hills of the border country to Ludlow. Quiet local roads provide excellent cycling routes both for the speed enthusiast and for those who want to potter about and use bikes as a means of enjoying and seeing the countryside. There are lots of scenic cycles straight from our gate: it is easy, for example to find a very quiet circular route which takes in both Weobley and Pembridge, two highly picturesque villages on the Black & White Trail. Pembridge is a beautiful black and white village about 5 miles down the road. There is a public car park in the centre on the left with a small play area for children. It has a church with stunning timber framed detached bell tower, and a good craft shop and art gallery in the Old Chapel. This has built up a reputation for showcasing the very best local talent as well as artists and jewellers from across the country, and sells sculpture, paintings, jewellery, knitwear, glass, ceramics and iron-ware. The New Inn at Pembridge is by most standards rather old! It has an open fire most days of the year, and provides reliable pub food. There is an interesting old restored market place behind the pub, and some fascinating houses throughout the village. A mile south of the village is Dunkertons, an organic cider producer with a shop. If you take the road behind the pub you can wend your way to Weobley, an equally pretty village with an appealing restaurant called Jule's plus a couple of reasonable pubs. There are a couple of good short walks from the village. Presteigne, 8 miles to the north has a number of interesting houses and shops: a mecca for ageing hippies. The Judges Lodging, a recently restored 18th century court house is well worth a visit. There is a new organic bread shop ( turn right at the library: the shop is on the left ), Presteigne stores selling unusual kelims and cushions, and the Hat Shop – a small and friendly restaurant. Presteigne hosts an annual music festival at the end of August each year, with the conductor George Vass. It provides an eclectic programme of classical and contemporary music, with new commissions each year. 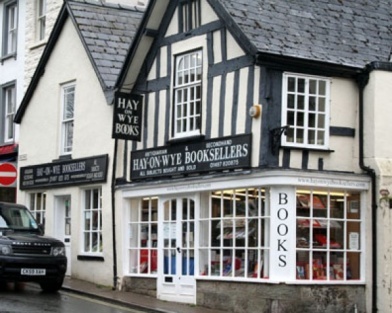 Hay on Wye, seven miles south west, is internationally famous for its collection of second hand book shops. There are also a range of other interesting shops, and a good craft shop, The Haymakers, run by local craftsmen. The Thursday morning food market held in the main square is well worth a visit. The annual Hay festival at the end of May each year attracts thousands of visitors and a chance to hear politicians, authors, poets, critics, eco-activists and others debating their craft and the issues of the moment. 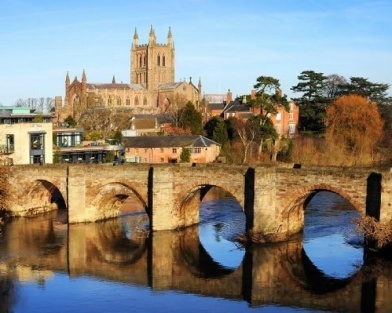 Hereford, 14 miles south has an interesting area around the river and cathedral. The cathedral is well worth a visit, not least for the Mappa Mundi and famous chained library. The cathedral hosts regular concerts throughout the year. Hereford is also home to the Courtyard a lively arts venue for live music, film and theatre. Hereford has recently opened a new shopping centre with a range of chain shops and restaurants including Waitrose. My particular favourite part of the city is a little alley way called Church Street connecting one of Herefords main shopping streets with the Cathedral, to the left of Marks and Spencer. Showcasing a collection of small, independent shops and cafes. 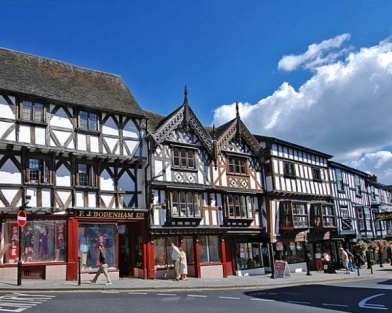 Ludlow, a stunning market town 15 miles to the north has some good examples of 18th and 19th century town architecture. It has an interesting castle and an annual Hole in the Wall festival of music in July. It is a mecca both for antique hunters and foodies, providing plenty of opportunities for browsing in antique shops and for eating well. On the way to Ludlow is the beautiful Croft castle, a National Trust property, which is also close to Yarpole, an attractive village with the Bell Inn, recommended for its food. Berrington Hall, another National Trust property outside Leominster is also worth a visit. 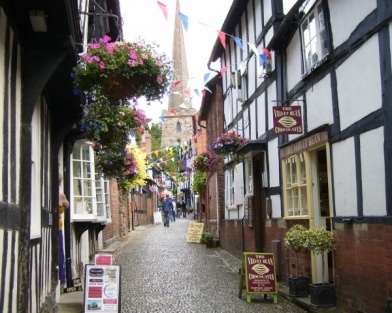 Ledbury is an interesting town to the east of Hereford, with some black and white architecture and a beautiful church. 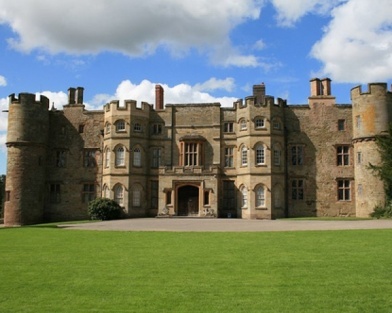 It is home to Eastnor Castle which hosts a range of events and activities. Ledbury provides the venue for an annual poetry festival bringing together local and national talent. The dates this year are the 3rd – 12th of July. 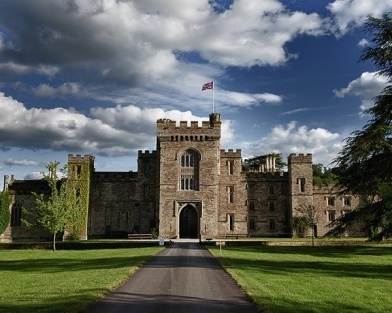 Near Leominster is Hampton Court Castle, has a rich history dating back to the 15th century. The Gardens at Hampton Court are one of the most ambitious garden creations and well worth a visit probably from late spring to the end of October. Check the website for events throughout the year. 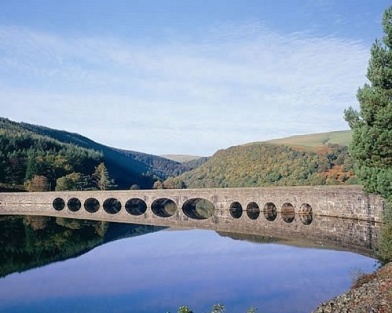 The area offers truly brilliant opportunities for walking in magnificent countryside. Farmtastic - comfortable, beautiful - the perfect place to stay. - Feeding time (not to be missed). Rob and Haley are excellent hosts and can take you and the little ones to feed the animals - this as an amazing experience. Fantastic vacation at Quebb Cottage - highly recommended!!! For this year's summer vacation we rented the Old Barn at Little Quebb Cottages in Herefordshire and have just returned after two wonderful, relaxing weeks. 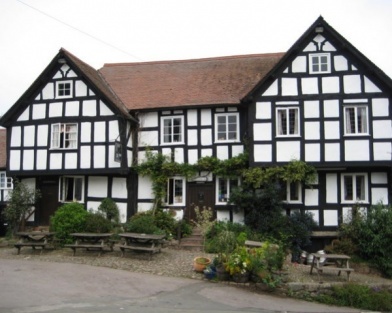 Even though we thought about keeping to ourselves just how amazing a place for holidays it is, we can only recommend going to the the Little Quebb Cottages in Herefordshire! The cottage was beautiful, very cosy and tastefully decorated with great power shower, comfy beds and fab log fire. Really nice big kitchen too for cooking and entertaining. The location is stunning too, peaceful rural countryside off the beaten track but close to the village of Eardisley for supplies (and the fab pub The Tram!). Lots of lovely surrounding villages for tea shops and cider producers and half an hour from Hay on Wye and Hereford for a bit of shopping. We will certainly be going back and couldn't recommend this place highly enough! My husband,two young children and I stayed at The Old Barn, Little Quebb for the Christmas week 2014, and what a week it was! The whole week was so chilled and we had never had such a relaxing Christmas, thanks to the fantastic surroundings. We will certainly be returning and have recommended the cottages ad fantastic owners to all our friends and family. We hope to see you very soon!! Stayed here for my birthday with my friends. Such a warm and friendly welcome on arrival, with a fantastic welcome pack with local produce. The cottage was so lovely, well equipt and comfortable. The bed was amazing! With white clean sheets! The local area was fantastic so much to see and do, beautiful countryside. Can't wait to visit again! Would deffinately recommend!